I must start with a disclaimer: this is not a validated research study. This is Anderson logic, plain and simple, formed by years of experience watching leaders of all levels and skill. After almost 40 years of finding and developing leaders, along with my own leadership success, it hit me like a ton of bricks one day. I’m not sure what was the catalyst, but it’s sort of like a BGO – a blinding glimpse of the obvious. Once you get it, it just makes sense. I believe that this competency is all a CEO really needs. Why? Because in exhibiting this competency, a CEO must demonstrate every other competency in any model, anywhere. It is a guide to communication, trust, collaboration, planning, execution, relationship building, conflict resolution, critical thinking, coaching and judgment, to name just a few. And it works for leaders other than the CEO. It is so simple that any leader can remember just the one word, rather than a lot of fluffy buzzwords. I like simple. It gets beyond all the noise and provides keen focus. That’s it. Connect. A CEO, or any leader for that matter, needs to be an effective connector. Think for just a minute about our world today. It is fast, it is technologically dependent, and it is extraordinarily complex. Deep expertise is critical, but at the same time deep expertise can be dangerous. It becomes dangerous when decisions are made in a vacuum, when perceptions are left unchallenged, and when conflict of expertise causes organizational paralysis. This is the real job of top leadership: to facilitate real and meaningful connections up, down and across the organization. It doesn’t require special knowledge or skills other than the ability to ask good questions and establish connections that will discover good answers. What and who must the CEO connect? Really, anything and everything, but here are a few ideas to start. The leadership team to the vision. Only the CEO knows the scope and purpose of the work going on in an organization. The CEO has the vision in her head, and can connect teams to teams, work to strategy and the business to the customer. Department heads have their own vision and own ideas, and occasionally misalign to the big picture. Asking good questions keeps everyone on the same path. “So Mr. CIO,” the CEO says, “I like your recommendation for a document storage system. Has everyone who needs to be involved, been involved? That’s all the CEO needs to know because if the answer is “No,” the project is in jeopardy because a key player may have been left out. If the answer is an honest “Yes,” the experts are collaborating and project stands a much better chance of success. It might take some practice to get to the honest answer, but all important things take practice. The employees to the organization. I’m tired of the term “employee engagement.” It’s not descriptive, it’s not personal and it’s not actionable. But if you simply ask “do the employees feel connected to the organization and to their leaders,” there is implied customized relationship that salutes the fact that every employee connects differently, because of who they are. A leader has to actively connect. That means he must learn about each employee, find common ground, and light that spark that will create drive and commitment. A leader also has to facilitate the connection of employees to the organization. Without a connection to the organization, work is just work. With a connection, work can drive performance. Oh, and connecting the employees to the organization encompasses listening to what they have to say. Line units have revenue and expense. Staff units have expense. When optimal, staff units relieve revenue producers from having to focus on anything other than driving revenue. This achieves economies of scale, and helps to ensure consistency across the organization. By connecting the staff units to the line, they are forced to view the line as their customer, to provide helpful processes, and to make sure that they are adding value. A simple question on the part of the CEO can establish the connection….”Are you getting what you need from [HR, Finance, IT, etc]? By connecting line to staff, a CEO can help the revenue producer recognize the value of consistency and discipline in organizational process. But the CEO may have to gently remind the line of the value as it usually isn’t readily apparent. A CEO can draw connections up, down and across the organization to create an atmosphere of continuous learning. The questions a CEO asks tell the leaders, employees and the organization what is important to her, and can encourage thinking broadly. Questions like, “What did we learn from this project?” and “How can we use what we learned to improve?” create a safe space to look candidly at what worked and what didn’t, and use that knowledge to learn as an organization. Research by Dr. David Rock, CEO of the Neuroleadership Institute, indicates that emotional or social pain creates the same effect in our brains as physical pain. Scientist Matthew Lieberman’s research concludes that our brains are wired for connection, and lack of connection is (his word) “kryptonite” to any organization. Read Michael Lee Stallard’s book, “The Connection Culture: The competitive advantage of shared identify, empathy and understanding at work,” – particularly Chapter 4 which gives an overview of the science behind connection – if you want more empirical proof of the promise of connection. Connection encompasses everything a CEO must do. The CEO need not have deep expertise in Finance, but he must connect the CFO to every facet of the organization. She need not be an expert in human behavior, but she needs to connect Human Resources to Finance, and to every facet of the organization. Collaborate? The CEO needs to connect those who need to collaborate. Plan and execute? The CEO must connect the execution back to the plan. Resolve conflict? Connecting those in conflict means facilitating the discovery of common ground. Judgment? 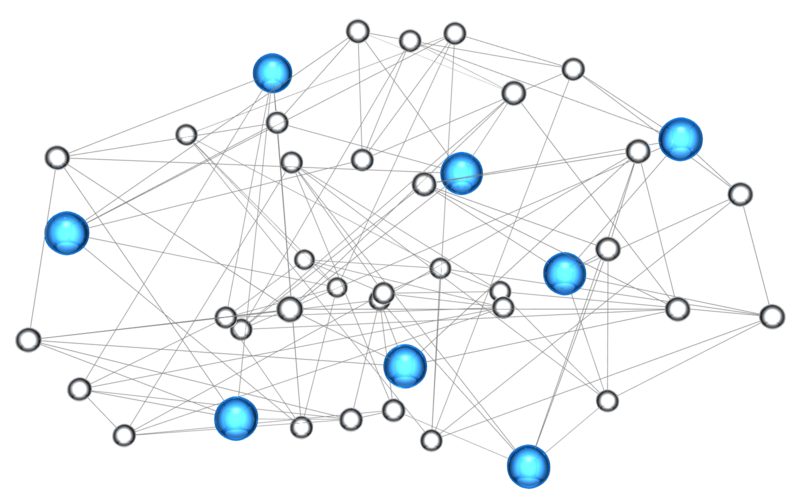 Connecting everyone who has a vested interest will offer the best possibility of a good outcome. Critical thinking? Connect the best minds. As a leader, I was challenged to “improve employee engagement.” To me, that was a nebulous challenge. What is engagement, and how do I make it happen. The reality is, I can’t make it happen. The very best I can do is look for each and every opportunity to make connections, with people, with strategy and with the organization. Now that makes sense to me. And since Gallup says that “managers account for 70% of variance in employee engagement,” doesn’t it make sense to make connection an organizational and leadership priority?